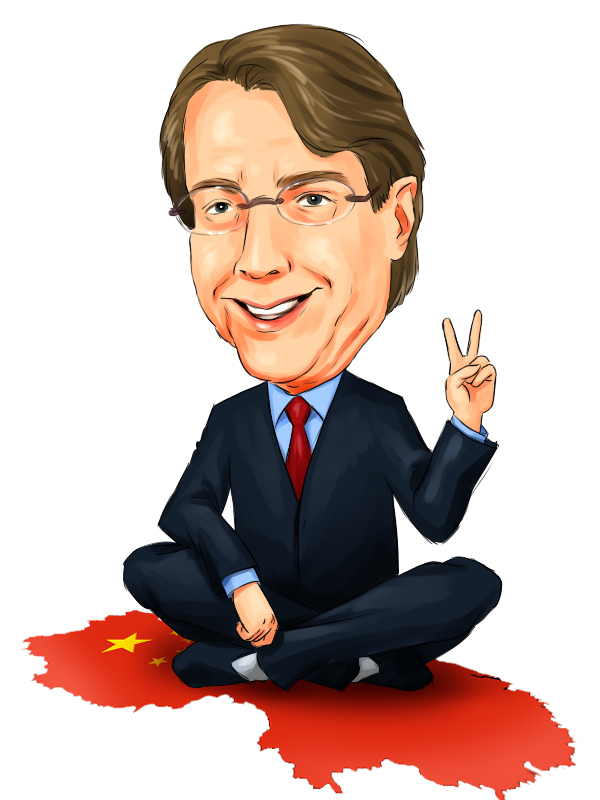 Kynikos hedge fund manager JimChanos reported on Wednesday that he is shorting Hewlett-Packard (NYSE:HPQ), calling it a big “value trap.” There have been a variety of responses to this. Phillipe Laffont, manager of Coatue essentially agreed with Chanos in a CNBCinterview–and you won’t find any HP in Laffont’s portfolio heavy in Equinix (NYSE:EQIX), Google (NASDAQ:GOOG), and Apple (NASDAQ:AAPL), whichyoucanviewhere. That said, there is a fair amount of dissentingopinion. Where is HP heading, and what does Chanos see? Chanos’ criticism of HP, and the reason that he thinks it can sink yet lower, is that HP allegedly ambiguous on its overall research and development figures. Recent acquisitions, Chanos claims, are generating cash flow but masking the fact that the company is actually burning cash at unsustainable (or even critical) rates. He also believes the core products for HP–its printers and PCs–will be swallowed up in a post-PC tech environment. The idea of shorting HP might initially seem odd. Shares in the company are trading at their lowest levels in seven years at around $19. A quick glance at valuation multiples doesn’t exactly scream “short it!”; the company is trading at 0.9 times book value and 0.3 times sales, both of which figures are below the sector’s bottom quintile values. And voila, HP is undervalued! Actually, this is not a very good way of thinking about tech valuation, if only because it has a direct and recent counterexample. Research in Motion (NASDAQ:RIMM), another beleaguered tech firm, has very similar P/E and P/B multiples. Yet, since May, RIM has lost more than half of its total market capitalization, and its shares are trading at $7, down from $14. That would have been a good shorting idea despite the ratios (Interestingly, asofMarch 30, Laffont’sCoatuefundheldsharesofRIM, butnotofHP). We need to dig a little deeper. Let me quote Meg Whitman in the company’s 2011 annualreport: “What is HP?” That’s the right question to ask. The answer from Whitman is decidedly conservative. She labels 2012 a rebuilding year–fair enough. Deriving 70 percent of its revenues from infrastructure products, HP maintains a portfolio of hardware and software that is “about solving customer problems.” The language in Dell’s (NASDAQ:DELL) report is very similar; it derived 50 percent of its gross margin from its enterprise services and solutions (By the way, Chanos said he considered shorting DELL as well but didn’t do so after the sharp declines over the past few months). So HP solves problems as they arise. In other words, HP is not riding the next tech wave along with Apple and Google. HP is solving customer problems while a company like Apple is discovering customer problems. Who knew that customers “needed” an iPad, especially since tablets had already failed so many times before? To be fair, tech companies don’t need to be another Apple. HP claims it is in a consolidation mode and that it is done with acquisitions for at least the next year. Consider IBM. IBM (NYSE:IBM) is also not riding the next tech wave. It reached a different understanding with its shareholders: IBM raised its dividend 20 percent and approved a $7 billion share buyback earlier this year. Its rebuilding has come and gone regarding the PC: It solditsPCunittoLenovo in 2005. HP has vowed not to spin off its Personal Systems Group in an analogous manner. From that sale and restructuring of its business, it still took IBM shares until 2007 to see upward price momentum. Now, IBM not only solves problems; it is leading the way in the cognitive computing revolution the world leader in enterprise computing. And it probably will stay there. Asonecommentatorsaid, Chanos is playing in the deep end of the pool. The average investor probably won’t (and shouldn’t) go home and short a stock that is trading at seven year lows, regardless of the outlook. The takeaways, I think, are (a) pay attention to cash flows for HP in the coming months, (b) think twice before initiating new long positions in HP, and (c) don’t get caught up in valuation metrics without looking at a tech company’s game plan in the post-PC environment.